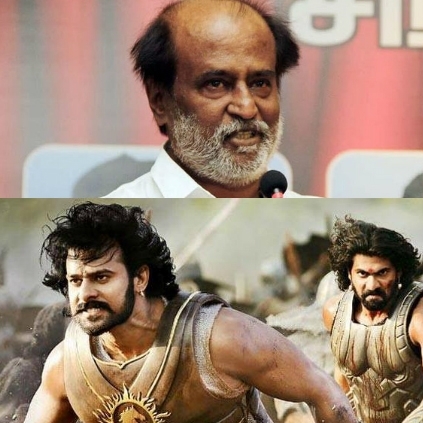 The latest update on Superstar Rajinikanth's 161st film with director Pa Ranjith is here! A massive set replicating one of the areas from Mumbai has been erected in Chennai. We got in touch with Pete Draper, the VFX technician for the film and he has given us some very interesting information from the sets of Thalaivar161. ''My genius team is flying down and we will be beginning work on our next film starring Rajinikanth. I recently got to witness the massive set which has been erected here in Chennai which resembles an area from Mumbai. I'm really excited about this project because this is my next after the recent blockbuster, Baahubali 2'', said Pete, who has previously worked on films like Baahubali, Life of Pi and other prodigious projects. Rajini's 161st film's shooting has been confirmed to incept on the 28th of May and the first schedule will be in Chennai on the sets. This superstar says he will quit acting for his political dreams! People looking for online information on Baahubali 2, Rajinikanth will find this news story useful.